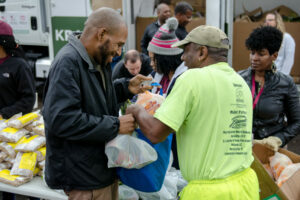 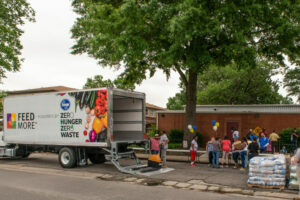 Feed More’s Mobile Pantry, powered by Kroger, distributes thousands of pounds of food each month to people where they live, improving their access to healthy, nutritious food. 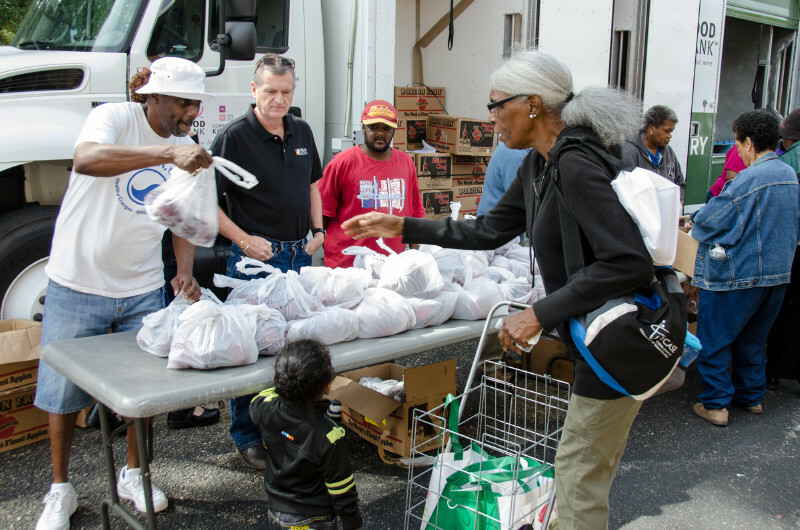 Our Mobile Pantry travels to underserved communities across our service area where our neighbors have limited access to grocery stores and healthy food options. 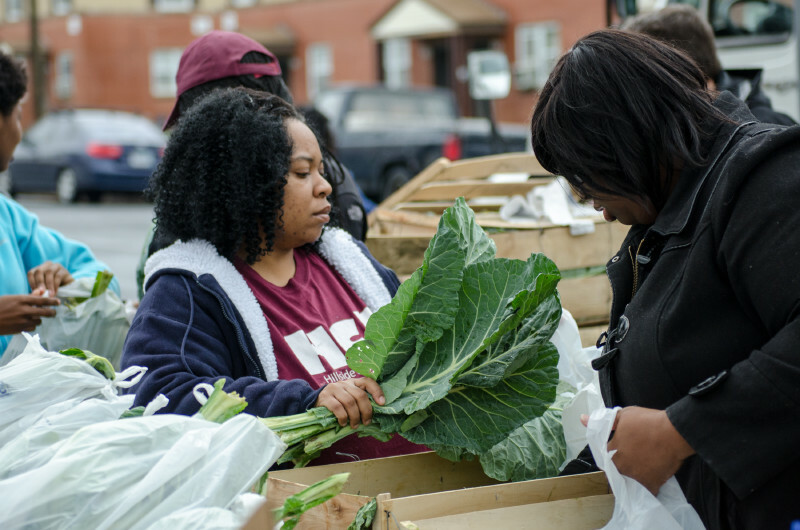 From urban neighborhoods to rural communities, Feed More’s Mobile Pantry provides each household with perishable and nonperishable food items, including a lean protein, fresh produce, bakery items and other shelf-stable items. 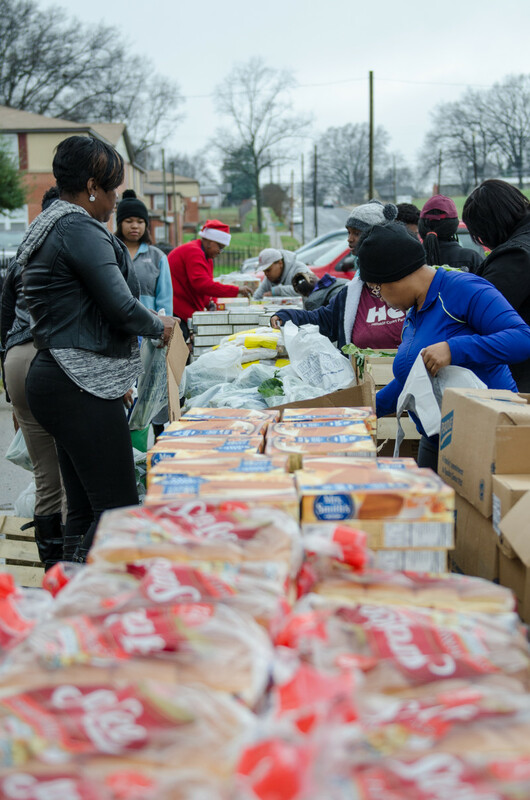 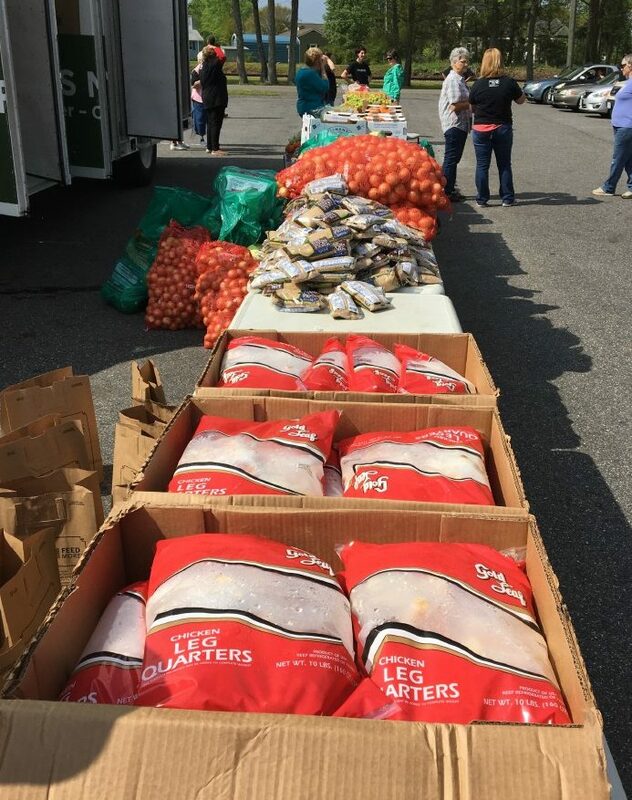 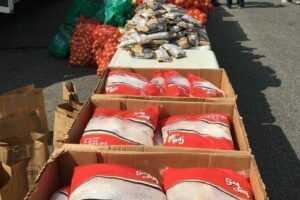 Working closely with our local partners to distribute the food each month, our Mobile Pantry provides families across Central Virginia who live in food deserts with healthy food for wholesome meals. The newest addition to Feed More’s distribution fleet, donated by Kroger Mid-Atlantic, the truck allows Feed More to deliver more fresh food to underserved communities with limited access to grocery stores. 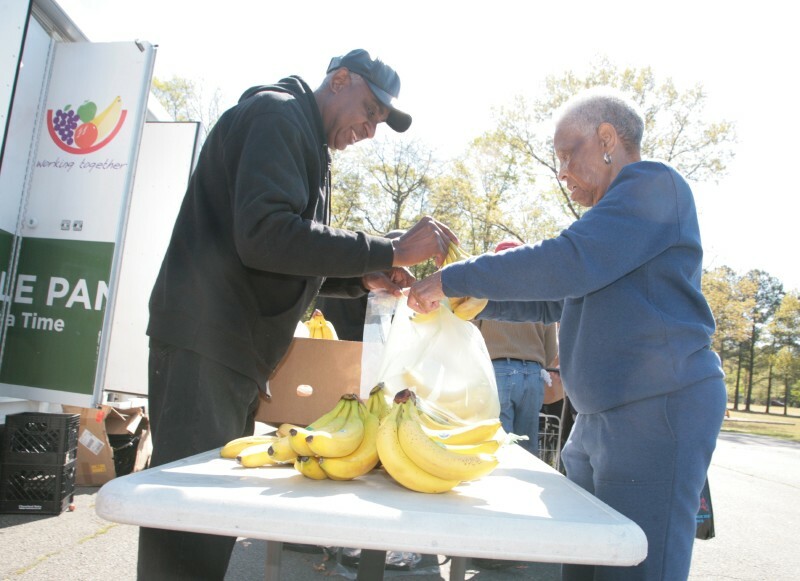 Each Mobile Pantry distribution includes a variety of healthy food items for wholesome meals. 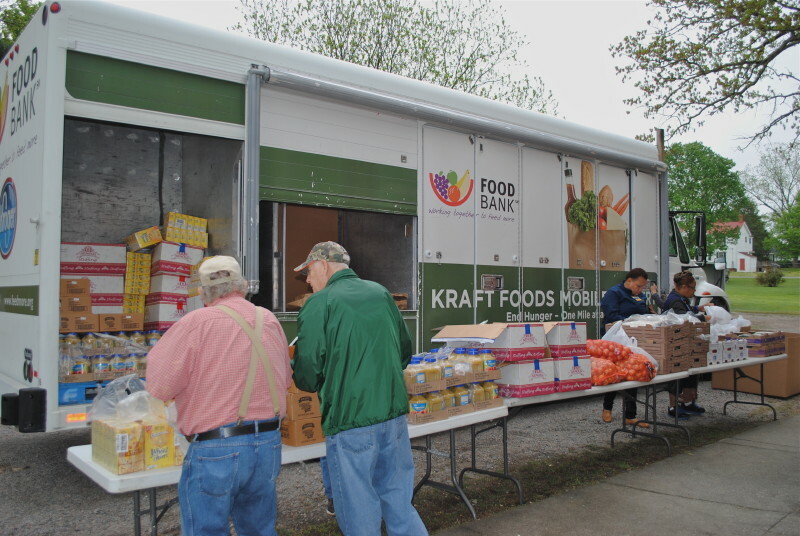 Our refrigerated Mobile Pantry truck helps us safely move the food we distribute to sites across our service area. 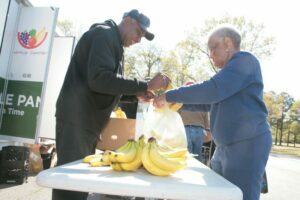 We are thankful to have a wide variety of healthy food to distribute through our Mobile Pantry. 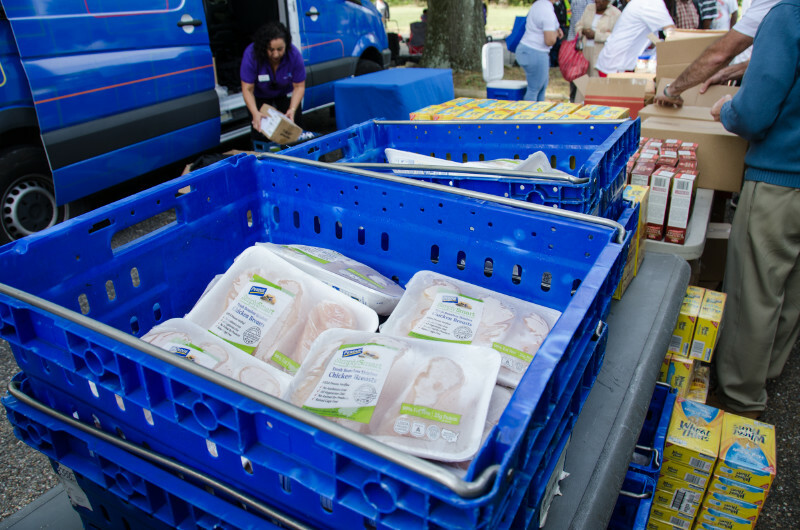 Healthy protein, like this chicken, is a staple in our Mobile Pantry distributions. Each household receives an abundance of food to prepare healthy meals for their family to enjoy. 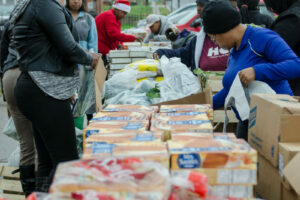 With the help of volunteers, our Mobile Pantry sites distribute food to our neighbors in need. 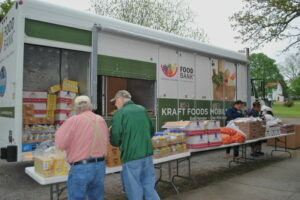 It takes a good bit of team work and coordination during each Mobile Pantry distribution. 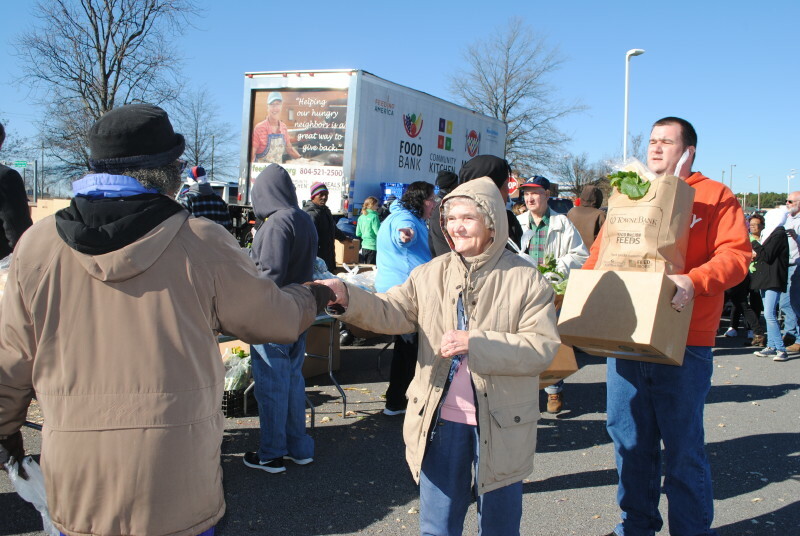 With more than 30 distribution sites across our region, our Mobile Pantry program gets food to our neighbors who need it most. Provide healthy meals and hope to our neighbors who struggle with hunger.